For Iowa deer hunters, it’s never too early to start thinking of fall. I was reminded of this fact this morning when, just after sunrise, I spotted a group containing four mature, bachelor bucks. 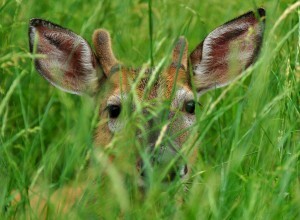 Standing in an open grassland, the deer were a sight to behold. The antlers on three of the bucks had already extended well beyond the width of their ears. The fourth buck was — well, he was absolutely ginormous. His massive, still growing headgear not only extended way past his ears, but towered high above his head as well. If seeing a collection of bucks like that doesn’t make a hunter yearn for the cool crisp days of autumn, then I guess nothing will. Human hunters have long been fascinated with deer and their antlers. Early artwork, drawn on the walls of caves, depicts ancient hunters in hot pursuit. 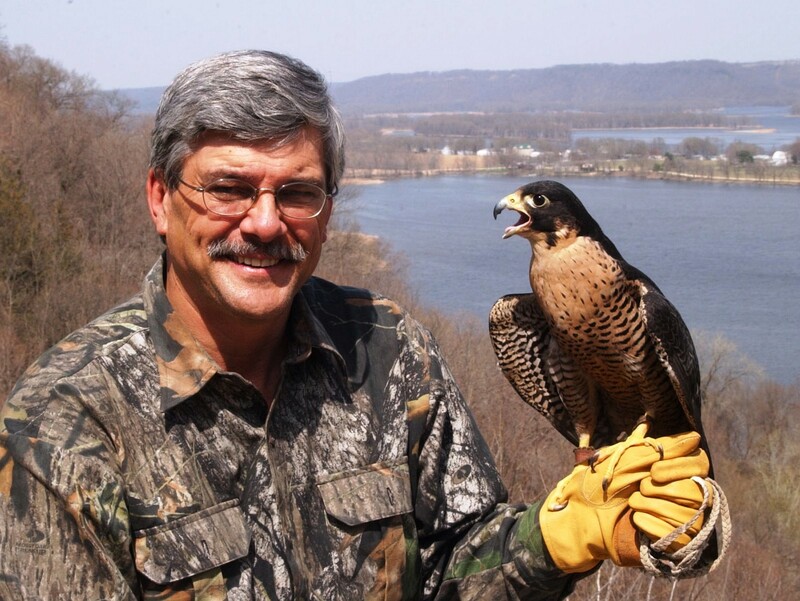 For some hunters, this age-old fascination has given way to modern-day obsession. In extreme cases, the obsession is carried to such unreasonable levels that the quest for antlers becomes an impairment to all other meaningful endeavors. Animals that grow horns – American bison and bighorn sheep – wear them for life. Antlers are temporary. 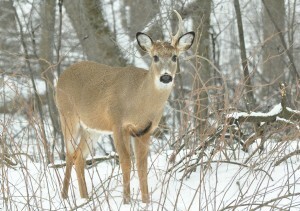 For white-tailed deer, growing new antlers is an annual event. In Iowa, the results are spectacular. 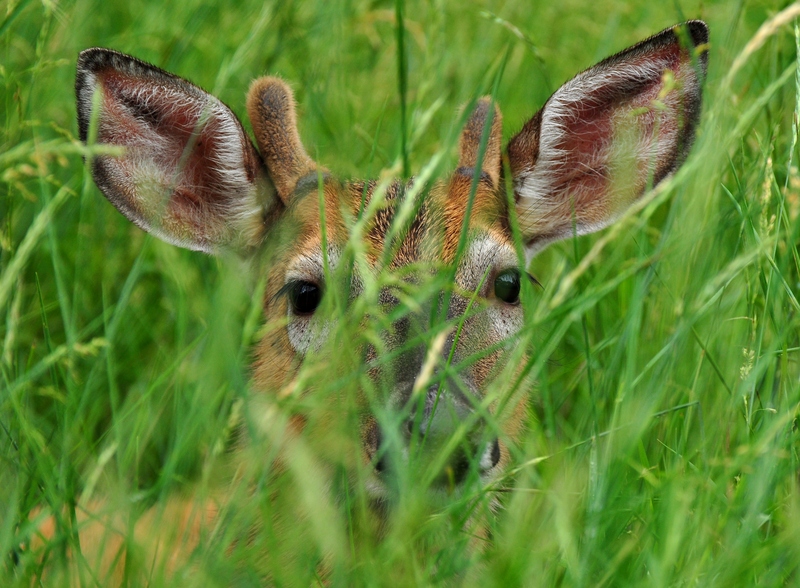 Nowhere on earth do deer have the potential to grow bigger or better than they do right here at home. The official record speaks for itself. To date, Iowa has produced 19 of the all-time top deer ever recorded. That’s more top scoring deer than is listed by any other state or Canadian province. For white-tailed bucks, antlers are more than a fashion statement. They are, in reality, deadly weapons. The sole purpose of these magnificent, pitch fork appendages is to do battle with and exert dominance over other bucks — particularly during the fall breeding season. But their usefulness is brief. As soon as the annual rut concludes, deer have no further use for heavy weaponry. 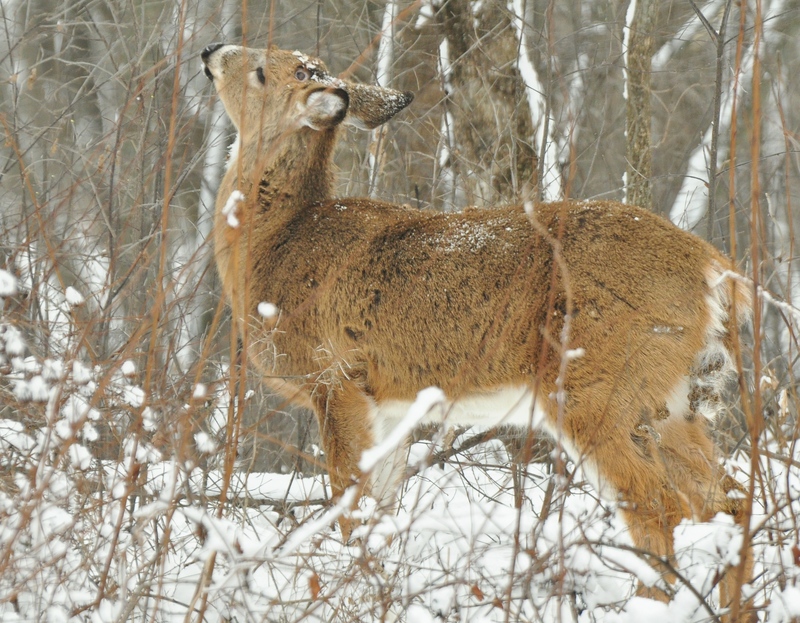 By mid-winter, bucks are shedding used antlers like a bad habit. Although it must feel good for a deer to be temporarily relieved of its heavy armament, the recess is short lived. Within the month, a brand-new set of antlers will begin to sprout. Antler growth is an amazing process. Anchored to a round base called a pedicle, budding antlers are living tissue – soft, delicate and easily damaged. 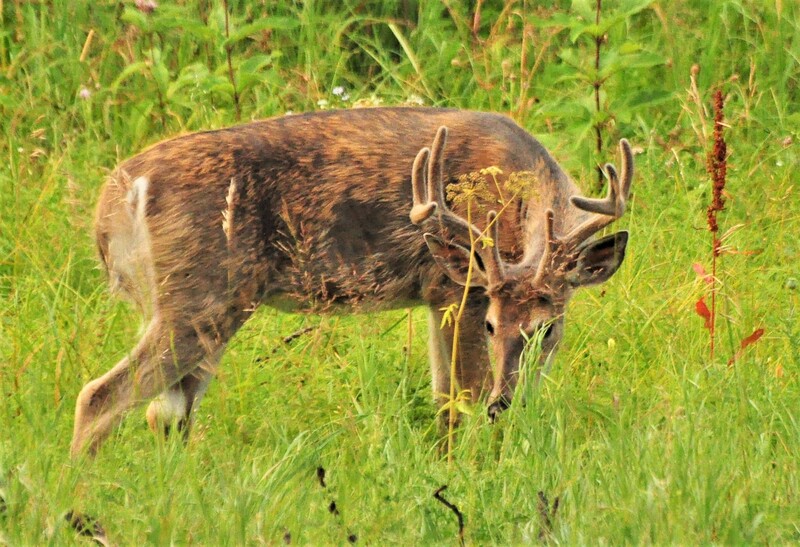 Nourished by a soft and hairy covering called velvet, antlers exhibit their most impressive growth spurts during June and July. Lengthening at an astounding rate that may exceed 1 1/2-inches per week, the rack’s finished design quickly becomes apparent. No two sets are identical. Size and shape of the completed product depends on many factors including type and abundance of forage, soil quality and mineral availability, stress, genetics and a host of less understood environmental factors. Antler growth slows suddenly during August as blood supplies to the velvet diminish rapidly and then cease entirely. Hormonal changes and decreasing amounts of daylight have provided a clear signal that it is time for antlers to calcify. Mineralization is complete; the nourishing layer of velvet has served its purpose. Deprived of nutrients, the soft covering dies, shrinks and soon hangs in ragged shreds. By early September, the buck’s antlers are sparkling with newly polished elegance; ready to aid its owner in the age-old struggle for dominance. The fall passes quickly. Following weeks of intense dueling, the annual rut concludes and the Iowa winter soon encases the landscape. Deepening snow cover and below zero wind chills exact their toll. Stress levels escalate. Antlers that were a primary asset just one month ago have now become a liability. There is a survival solution. Get rid of everything you don’t need. In a poorly understood process, a buck simply “demineralizes” a thin band of antler at the top of each pedicle. Within days [or hours] the antlers fall to the ground. 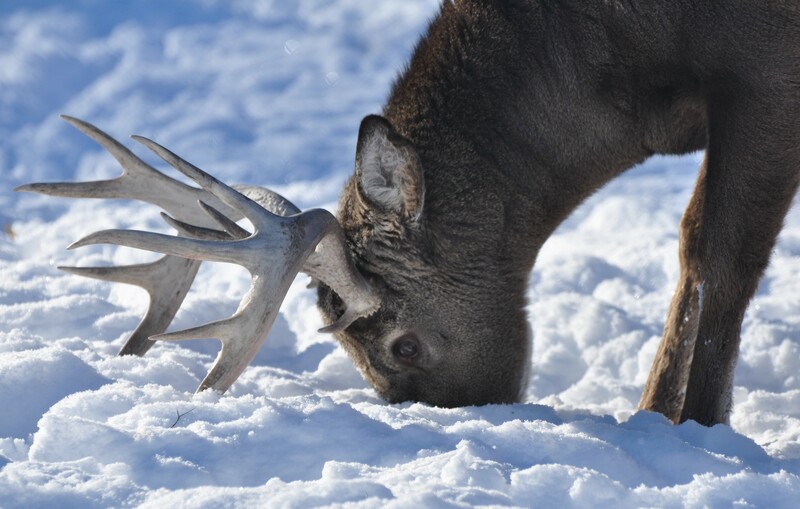 Within the month, a new set of antlers will begin their amazing annual, seven-month journey. Final Thought: Fact — You cannot determine the age of a rattlesnake by it rattles, a mallard by its curls, or a deer by its antlers. 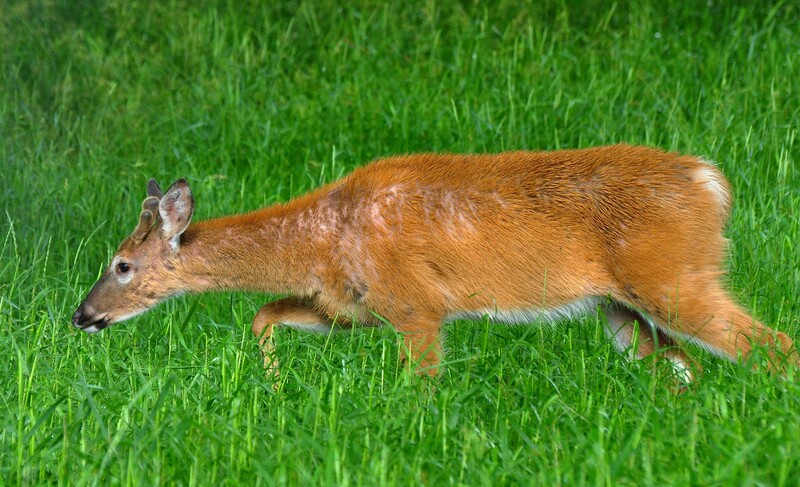 A deer’s teeth are the only accurate indicator of its age. 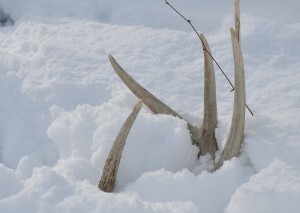 But antler size does provide some clues. During its first winter, a deer’s antlers appear as mere nubs. Deer in this class are commonly referred to as button bucks. By the time a year-and-a-half-old buck enters its second fall, antlers can range in size anywhere from spikes and fork horns to small, but well-formed, six or eight point “basket racks”. 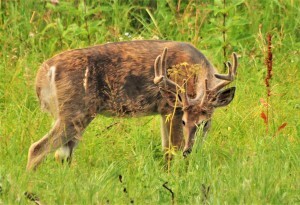 Animal ecology studies conducted at Mississippi State University and elsewhere, suggest that when a buck is a year-and-a-half-old, its antlers will have achieved ten percent of their future potential. 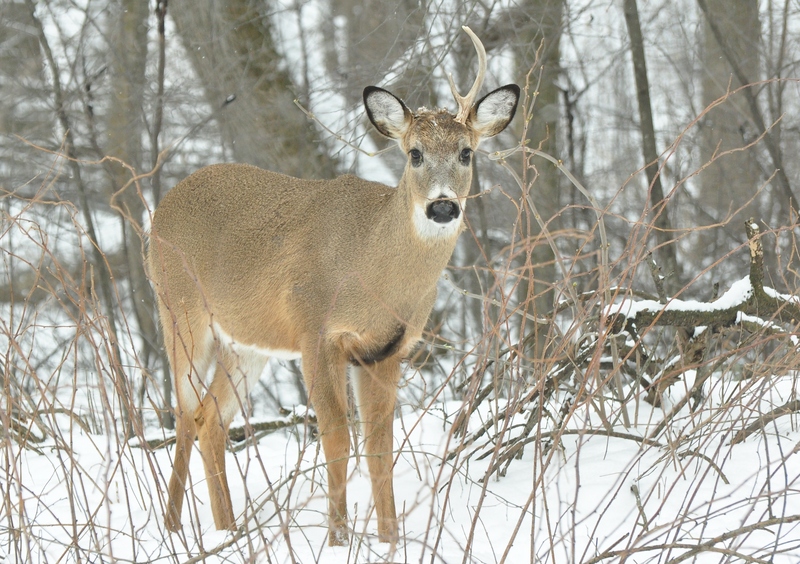 White-tail bucks reach full maturity at four years of age. Generally speaking, each new set of antlers becomes bigger and better than the last until a buck reaches its physical peak at age six or seven. After that, antler growth may actually begin to decline. This is generally not an issue in Iowa since significant hunting pressure prevents most bucks from ever reaching full maturity. Having beat the odds in all categories, aging bucks are beyond crafty and possess an unsurpassed level of cunning intelligence. Successfully bringing one of these street wise, woodland monarchs to bag represents deer hunting’s greatest challenge and is an exceptionally rare event.